Ford or Chevy? The oldest rivalry in American car history and one most can easily tell you which side of the line they stand on. 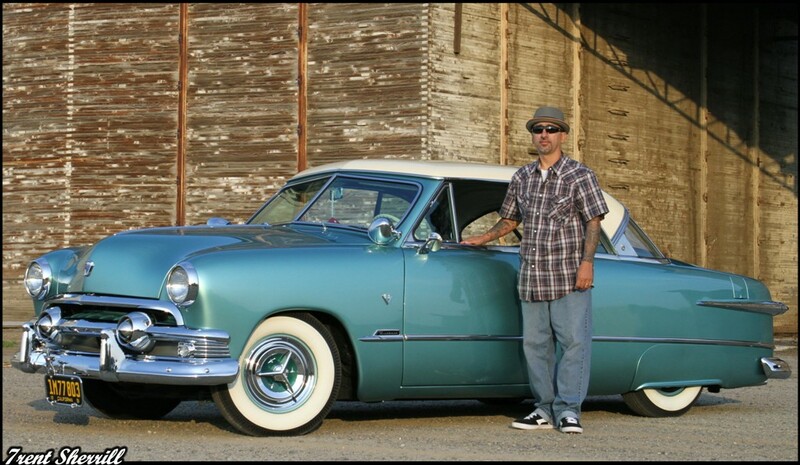 For Ameth Gonzales it was on the bow tie’s sidelines until he laid eyes on the 1951 Ford Victoria Hardtop. Ameth picked up the Vicky in Arcadia, CA back in 2002 and despite it being just over 50 years old at the time, it only had two previous owners. Better yet, the body was straight with no signs of any major accidents or rust which made it a perfect platform for a full restoration. Several features of the 51 drew Ameth to the 1951 Ford Victoria. 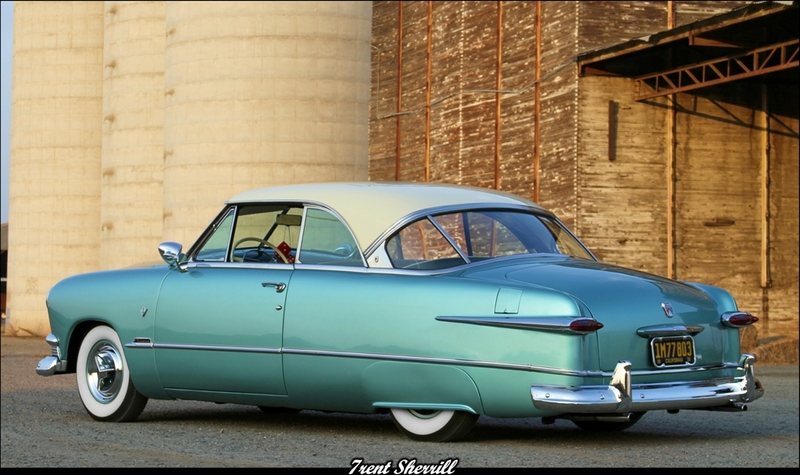 For starters, 1951 was the first year Ford produced a hardtop and the three-piece window in the rear adds a graceful accent to the simple yet flowing bodylines. 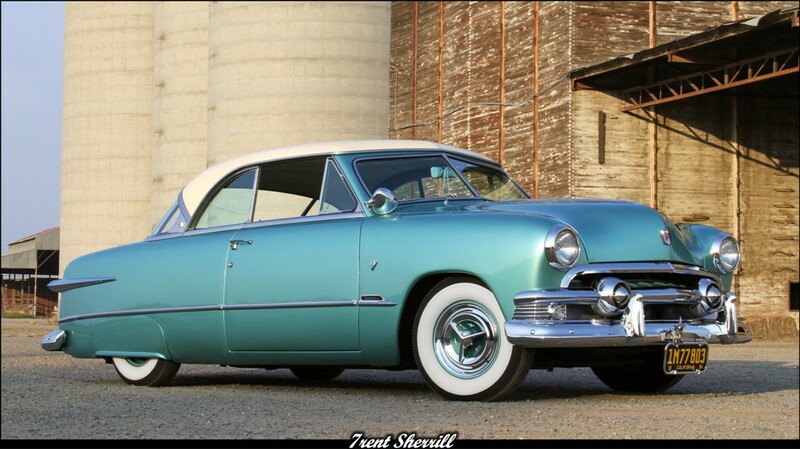 Then, the single chrome spear running the length of the body has always been a revered styling cue of the early 50’s Ford Shoebox. Once Ameth got the Vicky back to Fresno the restoration was quickly underway. However, with three coats of paint standing between him and bare metal, stripping it down was going to be an exercise in patience and perseverance. With the exception of the original curved window frames in the rear, all the chrome and stainless was pulled and shipped to LA Chrome for a fresh dip and polish. Once all the trim had been remove he tackled stripping off the layers of old paint before a batch of the factory green with a bit of metal flake was whipped up for the body and a light beige for the roof. With the shiny new light green beginning to dry, the Vicky was starting to resemble her former glory. Keeping true to his plan of originality, Ameth reused and resurfaced all the original interior pieces he could. 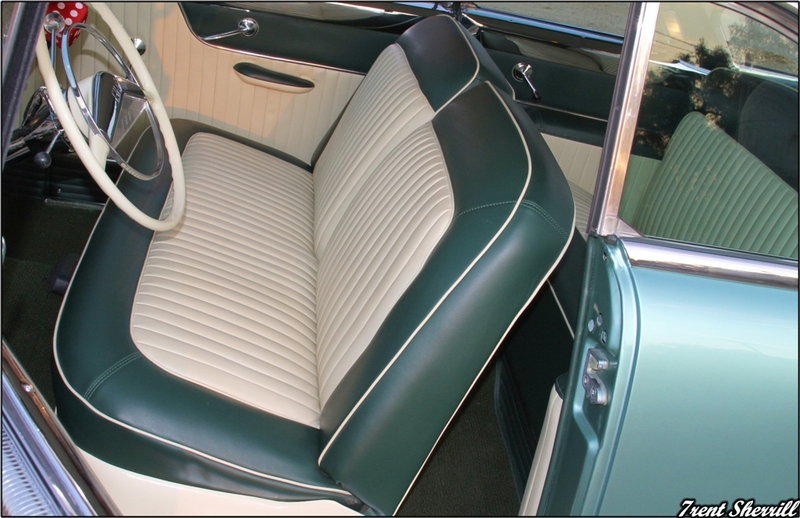 His friends at Cal Customs, which unfortunately has now gone by the way side in the recent economic downturn, resurrected the original two-tone white and turquoise interior pattern. Despite over 6 years since the restoration, there are no cracks or wrinkles anywhere in the interior. A testament to Ameth’s care for his Vicky. Truly a time capsule of 50’s styling. 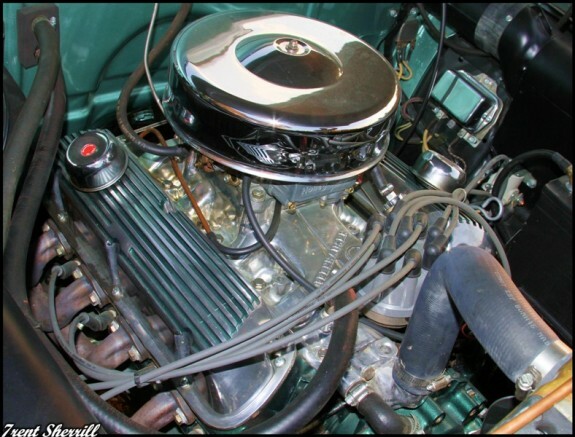 Although Ameth has invested a painstaking amount of time keeping the car in original factory condition, he did opt for better reliability and twice the horsepower by swapping out the 239 flathead in favor of a 302 from and early 90’s model Mustang mated to a C4 transmission. The modern drivetrain handles the central California heat much better than the nostalgic flathead. Lancer caps with paint-matched centers and Firestone bias ply wide whites add a tasteful period correct touch and maintain the original theme. 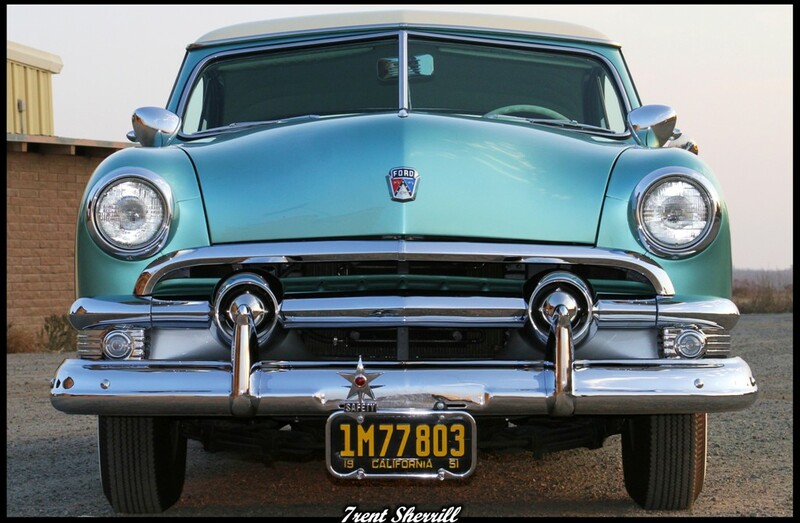 It’s all too often we see a great restoration ruined by billet wheels and low profile tires. 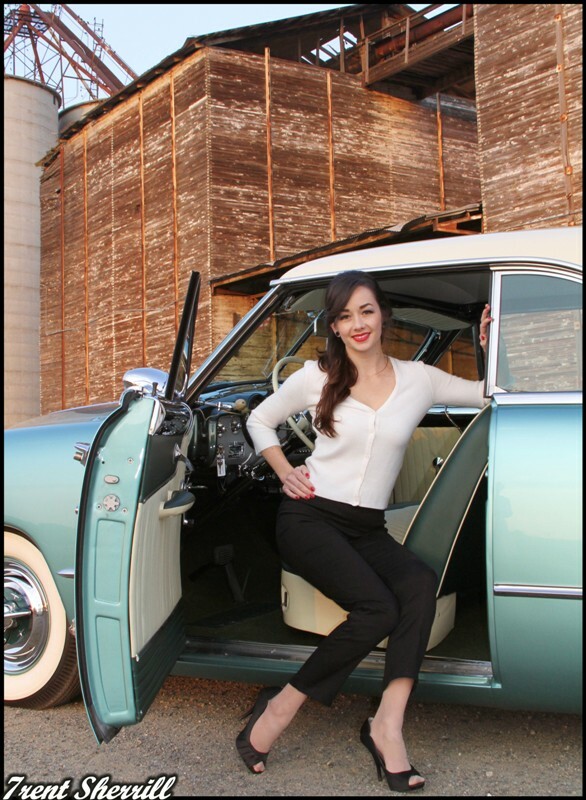 Up next for the Vicky, a vintage air system so Ameth doesn’t have to peel himself off the seats during blistering Fresno summers, which of course, means even more time in the driver’s seat. Surprisingly, this is the first full feature for Ameth’s Vicky. Hard to believe when you consider the time spent, the meticulous level of details involved, and the pristine finished product of this restoration. Completed in 2004 with just over 2.5 years in the making, Ameth protects the gorgeous Vicky by storing it in the garage under a cover except on the weekends. That is one sweet ride! Very nice! Ms. Vicky sure looks fine. So great to see her all dressed up just like back in the day. Bet she keeps Ameth happy for a long time. Not too shabby for an ol gal, eh. **(“;”)**.